Bridge India is a progressive non-profit think tank dedicated to discourse on public policy for the betterment of India. Providing a space from broad and open minded debate, with the focus on connecting India watchers and diaspora to India. A platform for discourse on public policy for the betterment of India. Facilitating member debate, conducting research and seminars, with diverse engagement at the heart of everything we do. Through our work, we proactively present a vision and narrative for engagement with India that engages young diaspora, policy makers, and other India-watchers. We are currently in the process of being registered as a CIO with the Charity Commission in England and Wales. Our four trustees and the secretariat have considerable experience in the charity sector in England & Wales, and aim to bring that to Bridge India, in order to make it a sustainable and well-governed organisation. India's national identity has been built on a unity in diversity. Bridge India's group of advisors reflects this. Educationalist with over 25 years of experience in global education, spanning across Higher and Professional Education, Education Technology and Skills Development sectors, including in South and South-East Asia, China, Middle East, Eastern Europe and South and East Africa. 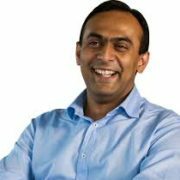 Ashwin is the Investment Director of Mercia Fund Managers and has over nine years’ venture capital experience. He is responsible for several technology investments and has been involved in all aspects of creating venture backed businesses to build valuable propositions. 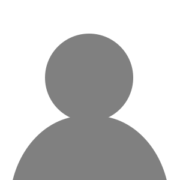 Neha is a finance professional, working at an international investment bank. She is also heavily involved in the not-for-profit space. 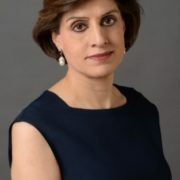 She is a trustee of the London chapter of a global charity called Asha for Education and is also the head of the South Asia Group of Institute of Directors, City of London. Over the last four years he has worked as a civil servant in the Department for Education, HMRC and the Foreign & Commonwealth Office. He is working towards a Masters in Global Diplomacy. 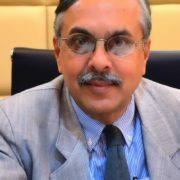 Alwyn Didar Singh, author and former Indian civil servant (IAS) served as Secretary to Government of India in the Ministry of Overseas Indian Affairs (Diaspora and Migration Ministry) from 2009 to 2011 and as Secretary General (from 2012 to 2017) of India’s largest apex business chamber, FICCI (Federation of Indian Chambers of Commerce and Industry). Dr. Singh is presently Senior Fellow at the Delhi Policy Group, New Delhi. Dr Singh also functions as Chair of the Diaspora group of KNOMAD (Knowledge Network on Migration), of the World Bank and in 2017 was named as Global Fellow at IC2 Institute of the University of Texas at Austin, USA. He is presently a Commissioner of the ILOs ‘Global Commission on the Future of Work’ (2017-19). Dr. Singh has four books and several publications to his credit. He holds a PhD on the Policy and Administration of E-commerce from Panjab University, Chandigarh. 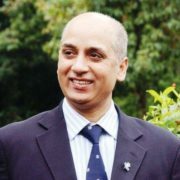 He is an alumnus of St. Stephen’s College, Delhi, and the University of Birmingham. Prof Mukulika Banerjee has nearly 25 years of experience in research and teaching. 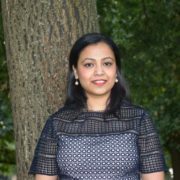 She is Director of the South Asia Centre at the London School of Economics and Political Science. She is an author and a regular commentator on South Asia. 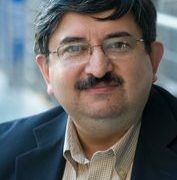 Salil Tripathi is a regular columnist and contributing editor for leading newspapers and magazines across the world. 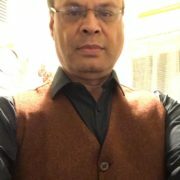 He is an author and has been a former senior correspondent for India Today and Far Eastern Economic Review in Singapore. His interests lie in economics, business, arts and politics. 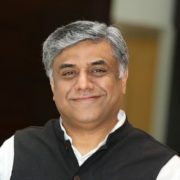 Prof M V Rajeev Gowda is a member in the upper house of the parliament of India and a national spokesperson for the Indian National Congress. He was on the central board of directors for Reserve Bank of India and a former professor at IIM Bangalore. He was additionally UK Director for FICCI, a co-founder of a charitytech start-up, and earlier worked in public policy and international arbitration, having also been involved in numerous charitable activities. He is a published author, and a regular commentator on public policy and India across print, TV and online media. 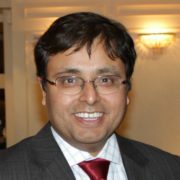 Taha is the Chair of UK Asian Business Council (UKABC). He is the Managing Director of Monkey Consulting Ltd, where he specialises in international business development and marketing. 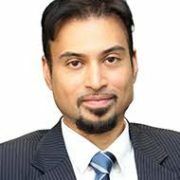 Taha has recently joined Asia TV UK as CEO and will host segments focusing on business and politics. Born in Kenya, entrepreneur Pitu Suri migrated to Britain in 1974. His parents established the Oceanic business in 1977. His business activities include a wide range of interests in student accommodation, commercial and residential property, and B2B fashion jewellery. Pitu is Member of the Asian Business Association committee at the London Chamber of Commerce and Industry, a Freeman of the City of London, Freedom of The World Traders livery company, and a Board Member on several non-profits including the City Sikhs. Content creator/brand strategist with a demonstrated history of working in the broadcast media industry. Skilled in broadcasting, campaigns, content innovation, storytelling, video, Avid, Vizrt Technology Products, and documentaries. Dr Ashraf has extensive experience of working in the NHS and more widely in healthcare. He works closely with specialist health care providers in India. He has a strong political family background, unusually across different political parties in India. 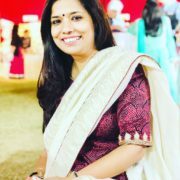 Dr Narwal is a social entrepreneur with interests in Artificial Intelligence, health care, education and innovative environmental & transport technologie. He began his schooling in prestigious schools in India including Bishop Cotton School, Shimla and Rashtriya Indian Military College, Dehradun. He graduated from Pt. BDS Post Graduate Institute of Medical Sciences, Rohtak in 1994 and soon developed a flair for business. He has committed himself towards providing world-class education and create future leaders with successful experts in the industry. He is collaborating with Public Health Foundation of India (PHFI) to address current health issues, especially Diabetes in India. Currently, Dr Narwal is a magnet for innovation in Europe and is promoting several innovative Environmental initiatives in waste management, water sanitation and environment friendly public transportation in India and several countries in Africa. Dr Narwal is also an active campaigner for malaria eradication and is collaborating with global organisations to promote innovative and unique products to help eradicate the disease. He is the Vice-President of United Africa Health Foundation. He is a member of the European Economic Senate to promote Trade and Culture and is the first ‘Asian Economic Senator’ with the organisation. Dr Narwal is an Ambassador to the Tutu Foundation UK and Universal Peace Federation. He has also been recently appointed on the advisory board of Wockhardt Foundation in India. He has recently been honoured with the prestigious Bharat Gaurav Award at the British Parliament on 13th April 2018. Dr. Santosh Bhanot is the Founder and Chair of The Asian Circle, an NGO supporting vulnerable women in India. She spent 24 years in the healthcare sector working as a Senior Scientist at Procter & Gamble. She has also co-authored several papers as a Research Fellow at Kings College London and Nottingham University. 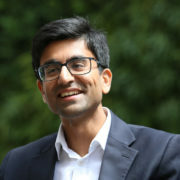 Kishan is the Treasurer’s Envoy, Vice-President of the Liberal Democrats Campaign for Race Equality, and Vice-Chairman in Business of the Liberal Democrat Party. Kishan is also a Fellow of the Royal Society of Arts. He is the youngest recipient of the Asian Achievers Gold Award and is a politician, speaker, and international business consultant.